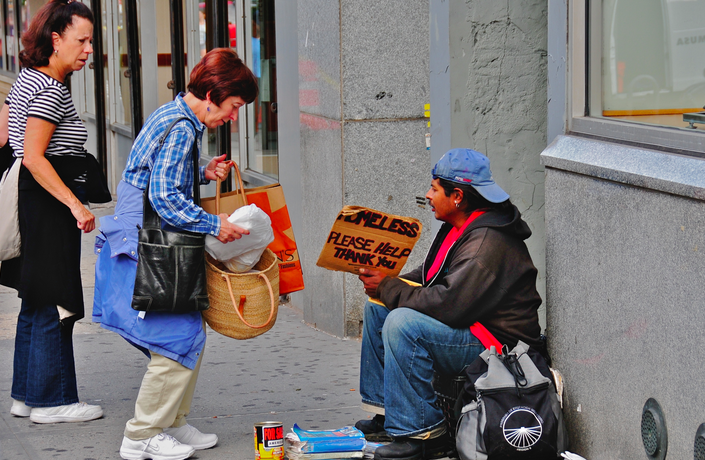 A new study by the Brookings Institution finds that the inequality in life expectancy is growing more pronounced—and at a faster rate—between rich and poor Americans, Citylab reports. The study, based on government records and Social Security data, found that for men born in 1920, the average life expectancy at 50 was 79 years if he was in the top ten percent of the income spectrum; for the lowest 10 percent, that fell to 74 years (a five-year difference). Forwarding to men born in 1940, that gap widens to a 12 year difference with the top 10 percenters living until 88 on average, compared to 76 for the bottom 10. For women, the same gap grew from four to 10 years over the same time span. The findings were surprising, given the thinking that improvements in, and accessibility to, health care would improve this statistic across the board, though the differences have been ascribed to factors like smoking and drug addiction that may affect lower-income Americans more. 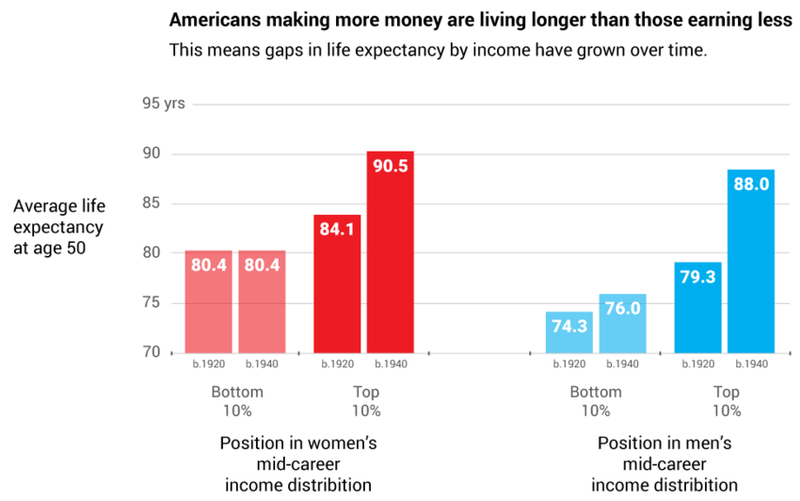 In addition to the above, the study found that the life-expectancy gap results in wealthier Americans collecting disproportionately more Social Security benefits (which we would hope would benefit low-income Americans, who have limited lifetime earnings, more). But since the poorer Americans are dying at younger ages, they’re accruing less in the way of benefits compared to their wealthy counterparts. Taken with the rise in average retirement age since the 1990s, this means that the gap between lifetime benefits received by poor workers and high income workers continues to widen. Are You Considered ‘Middle Class’ in NYC?